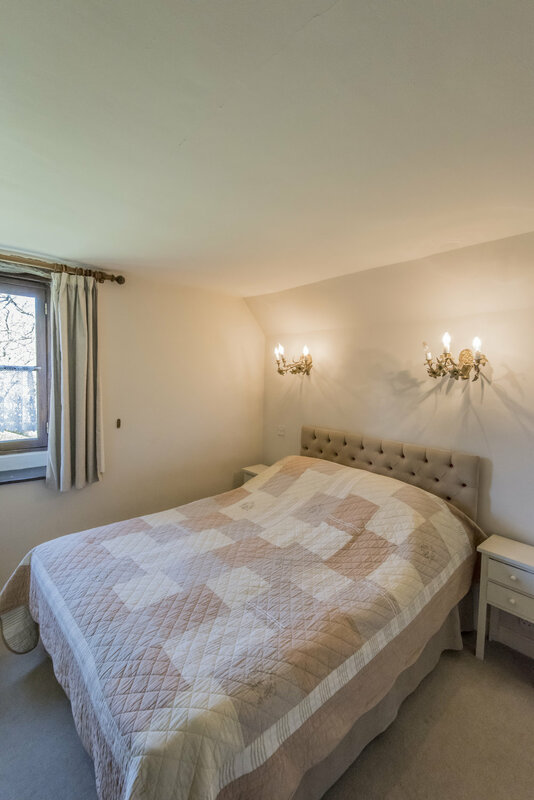 You can get exclusive use of the Dovecote, Garden House and the Stables by renting it together for a family celebration or reunions sleeping up to 16 guests with a communal dining room. All our accommodations are on the same site and surrounding the property is a large garden of two acres. It's an ideal touring base to discover the Cotswolds, Stonehenge, Wales and the West Country - or simply somewhere special to relax and enjoy. based on maximum occupancy of 16 guests. Contact us for detailed rates. A 30% non-refundable deposit is required to confirm your reservation. The Dovecote studio is a first floor loft apartment with vaulted ceilings, solid oak floors and beautiful designer lighting effect. The entrance opens into a spacious open plan studio with a fully fitted kitchen, dining area, a double sofa bed, TV and a juliet balcony. The main sleeping area has a double bed and fitted wardrobes while a separate room has the bathroom and washing machine. Central heating will be available during winter. This 18th century dairy building offers stunning contemporary interiors with solid oak and limestone floors. A single storey building with fitted cupboards and doors leading to the master bedroom featuring vaulted ceilings and a dramatic 4 poster bed. The living room has a working fireplace, double sofa bed, TV/DVD/CD. The kitchen is also fully fitted and has french doors leading to a patio and large private garden with a glazed atrium dining room. This dining room leads to a second bedroom with a double bed and an ensuite bathroom. The house has central heating and under floor heating during the winter. A detached Cotswold stone former stables building with original cobbled stone floors, elm plank ceiling, oak hayracks and decorative Victorian cast iron cooking range. 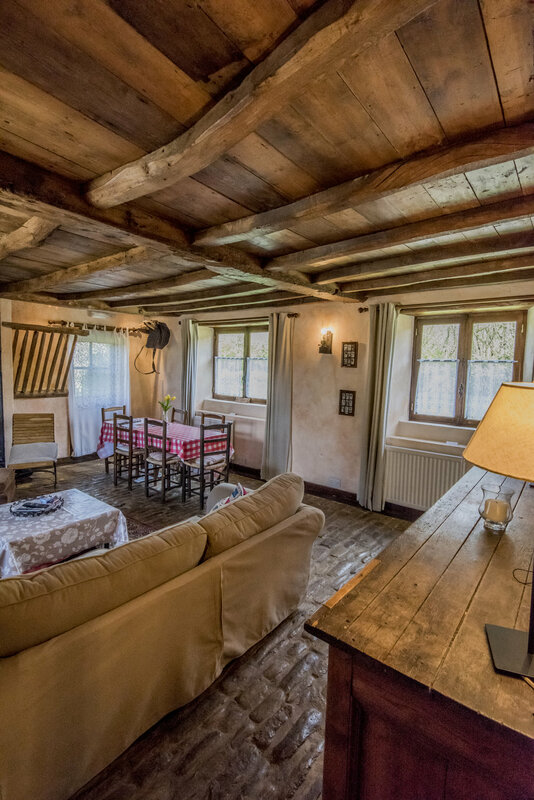 In the largest of the three cottages, the living/dining area can seat up to 16 guests. The large sunny kitchen is fully equipped with dishwasher, tumble drier, gas cooker, electric hob, espresso machine, microwave and a fridge/freezer. The washing machine will be in a separate building. The first floor has two double bedrooms and one twin bedroom, all with ensuite shower, basin and WC. There's also an additional separate guest cloakroom with WC and wash-hand basin. Contact us to find out more. Availability applies.